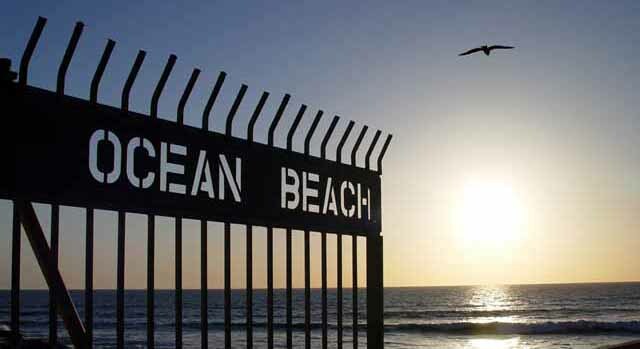 Ocean Beach lies on the Pacific Ocean and just south of Mission Beach and Pacific Beach. Once known as the “Haight-Ashbury” of San Diego, the area has attracted and accepted all different lifestyles to set up shop and call Ocean Beach their home. Ocean Beach real estate can vary simply from one street or one block to the next. Made up of homes such as small beach cottages, to multi residential housing, to large 5K sq ft homes, there is a wide array of architectural styles and sizes to fit everyone’s tastes. Thanks in part to many homes being a short walking distance to the sand; having views of the Pacific Ocean, up the entire coastline to La Jolla, and the Sea World fireworks, real estate values are continuing to climb making it a great area to invest in and call home. Ocean Beach also has a suburb within itself called Sunset Cliffs. This area is home to many multi million dollar homes with unobstructed Pacific Ocean views, larger lots, and expansive homes. This area is very affluent and is considered absolute paradise. The OB Pier and Newport St – the downtown OB area leads right to the pier and the Pacific Ocean. Littered with boutique shops and many eateries and bars, the area is a destination to soak in the sun and enjoy window shopping both day and night. Festivals – Ocean Beach has many festivals and events throughout the year. Oktoberfest, OB Street Fair, Farmer’s Markets weekly, Kite Festival and 4th of July Fireworks are just a few. There are always events going on in this area which make it a great place to enjoy the beach and fun activities always going on.